What is C# Comparison Operator? How many types of Comparison Operators in C sharp? How to use Comparison operators in a program? 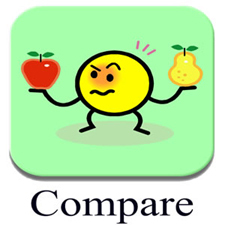 The C# comparison operator is used to compare two operands. It returns true or false based on the comparison. The complete list of comparison operators is listed in a table. You will learn more about if…else constructs in lateral session. In this chapter, you learned about different types of C# comparison operatorsand also learned how to use it in a program. In next chapter, you will learn about Logical Operators in C#.